During Jerome's tenure at Saskatchewan Innovation (October 2011-October 2016), he helped develop key partnerships between the province, industry and academia in sectors including mining (International Minerals Innovation Institute), nuclear innovation (Sylvia Fedoruk Canadian Centre for Nuclear Innovation) and agriculture (Global Institute for Food Security). He has also served as the CEO of Genome Prairie and BioSmart Technologies, and as Vice-President of Corporate Development for Bioriginal Food and Science Corporation. In the latter role, he helped the company grow from a small start up to a successful international enterprise with a presence on four continents. He is an active leader in the community and has served on many boards and committees. 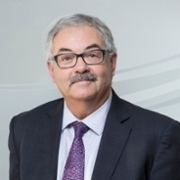 He was a founding director of both the Sylvia Fedoruk Canadian Centre for Nuclear Innovation and the International Minerals Innovation Institute, and served on the boards of the Canadian Light Source, the Vaccine and Infectious Disease Organization, and the Agricultural Bioscience International Conference.